Frederik January 21, 2018 Comment? 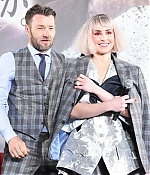 Noomi Rapace is back at the Paris Fashion Week – its become an almost annual tradition for her to be part of the circuit every January. She has attended the Dior Homme runway. Pictures have been added to the photo gallery. Frederik January 13, 2018 Comment? Happy New Year everybody! 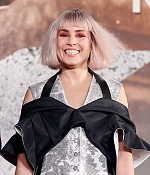 I completely missed that Noomi has attended the Astrid Andersen runway at London Fashion Week’s Men last week. Many thanks to Marinka for bringing it to my attention. Also, there’s a new interview with Noomi in the Indian edition of The Telegraph and a review page on “Bright” in the February issue of Empire Magazine. Frederik December 29, 2017 Comment? 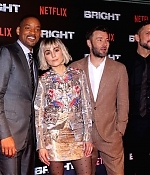 “Bright” has been released worldwide on December 22 on Netflix, and yes, it was just as disappointing as the critics have written. 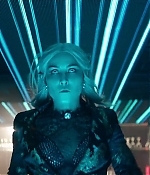 I didn’t find the acting any bad, it’s what you expect to get from a cop/orcs/elves movie (and you have Joel Edgerton, Edgar Ramirez and Noomi Rapace). It was rather a surprisingly, shockingly thin story line. 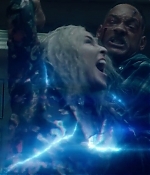 “Bright” feels like a tv pilot with overtime for something that Will Smith should have done 20 years ago. Both Smith and Edgerton are given so little to work with, Noomi was given even less with her dialogue consisting of only a bit of Elvish :-) Her character could have been credited among the stunt people just as well. 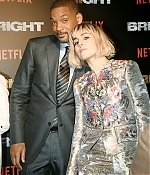 And yet, I feel like “Bright” could deserve a second watch, there has to be more to Netflix’ biggest foray into motion pictures. There has to be. Screencaptures from the film have been added to the photo gallery, alongside additional pictures from the promotional tours in London, Mumbai and Tokyo – including a fantastic new photoshoot from the time during her Tokyo visit. Many thanks to Marika for all the heads-up. Enjoy the new additions. Frederik December 20, 2017 Comment? 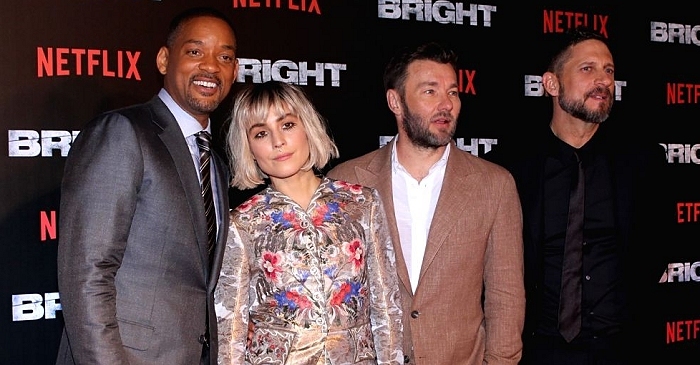 “Bright” is receiving the royal treatment from Netflix right now. 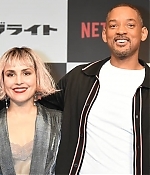 After stints in Los Angeles, London and Mumbai, the “Bright” crew has now attended the film’s premiere in Tokyo, Japan. Pictures from the event have been added to the photo gallery. Edit: Pictures from the press conference have been added as well. Frederik December 19, 2017 Comment? 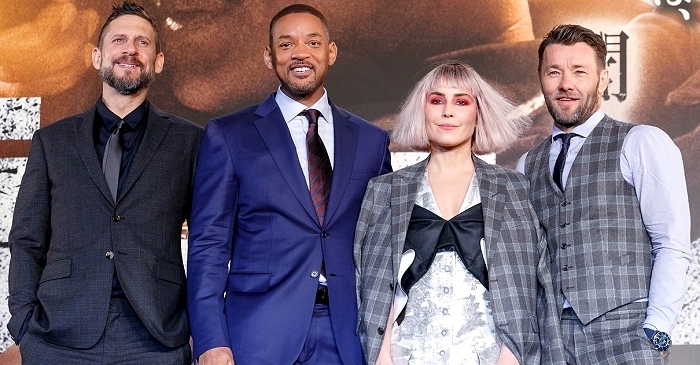 On Monday, Will Smith, Joel Edgerton and Noomi Rapace made a surprise appearance at the Mumbai premiere for “Bright”. Pictures have been added to the photo gallery. You’ll also find a press junket interview with Noomi in the video archive. Frederik December 16, 2017 Comment? 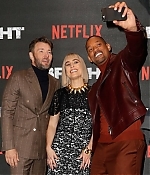 Hollywood’s “Bright” stars dazzled all their way at yesterday’s London premiere of the upcoming action and thriller cinematic. 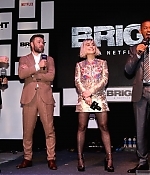 The event had it all for the fans, massive autographs and photo shoot where the “Bright”’s crew showed up, including stars Joel Edgerton, Noomi Rapace and Lucy Fry. 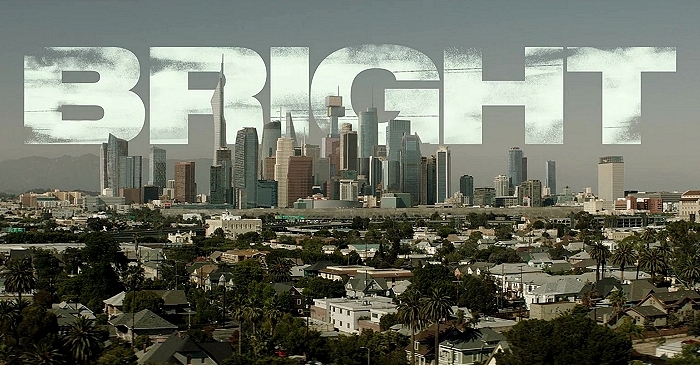 The co-production of Max Landis and David Ayer is one massive cinematic already awaited in the must watch list of action films, expected to kick off release in cinemas on Friday, December 22. Pictures from the premiere have been added to the photo gallery. 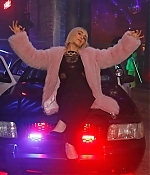 Article and pictures courtesy Vogue and Astrid Andersen: When an interview ends with you strapped into Noomi Rapace’s new top-of-the-line Audi as she bounces behind the wheel to top-volume Cardi B, then accelerates up Ladbroke Grove faster than anything out of North Korea, well, it’s been an awesome assignment. And when Vogue was invited to lunch with the Swedish-born actress (the original Lisbeth Salander!) 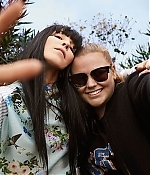 and the Danish-born designer Astrid Andersen, that’s exactly how things ended up. But before we hit the road—Andersen and Rapace up front, singing and whooping as we went full throttle, me in the back, trying not to toss my salad—there was much to discuss. Royal College of Art–trained Andersen founded her menswear label in 2010, and last year started showing womenswear, too. She and Rapace didn’t meet all that long ago, but have since become firm friends. So for Spring 2018, Rapace volunteered to model Andersen’s collection (the women’s, with a sprinkling of men’s) in a shoot masterminded at the actress’s London house. That seemed like a perfect reason to meet, eat, and listen in on these two besties discussing friendship, clothes, first boyfriends, and plenty more besides. What follows is an edited record of a conversation in which, just like that hair-raising drive afterward, Vogue was very much in the back seat. If you do something that you’re forced into, or you’re eye candy for someone, or you dress for someone else and you don’t feel comfortable, well, you don’t feel empowered and you don’t feel free. If you can’t dance in it, you can’t move in it, you can’t feel your energy and your charisma flowing, that is wrong. But if you wear something that you can move in and that makes you grow, you can come into any room and be like: Boom, here I am! You know, I never thought I would be comfortable in some places. I come from a farm and I come from no money. I didn’t even speak English seven and a half years ago. So I have to go on my intuition all the time. And I think that Astrid is very much the same; you have to go on your gut feeling.